Success in the cadet age group, followed by more success at junior level; continuing the progression is the task for Frenchman Alexandre Cassin, alongside Germany’s Nina Mittelham and Romania’s Adina Diaconu at the forthcoming Stag 2017 European Under 21 Championships. Staged in the Russian city of Sochi, play commences on Thursday 2nd February and concludes on Sunday 5th February. At the European Youth Championships, Alexandre Cassin won the Cadet Boys’ Singles event in Schwechat in 2012; in both 2014 and 2016, he was crowned the Junior Boys’ Singles champion. Similarly, Nina Mittelham secured the Cadet Girls’ Singles title in Kazan in 2011, prior to reserving the top step of the Junior Girls’ Singles podium in 2013 in Ostrava. Impressive but both have to bow to Adina Diaconu. She clinched Cadet Girls’ Singles gold in Ostrava in 2013 and retained the title one year later in Riva del Garda. Consecutive wins, she continued the policy in both 2015 in Bratislava and last year in Zagreb to claim the Junior Girls’ Singles top prize. Notably, Adina Diaconu is the one member of the illustrious trio who, at the forthcoming 2017 European Youth Championships to be staged in Guimarães, Portugal, could make it three Junior Girls’ Singles titles in a row. No girl has ever achieved the feat. Winners at the European Youth Championships; they are not alone. Sweden’s Anton Källberg, the 2015 Junior Boys’ Singles champion, is named on the entry list, as is Germany’s Chantal Mantz, the Junior Girls’ Singles gold medallist in 2014. However, her presence may be in doubt. 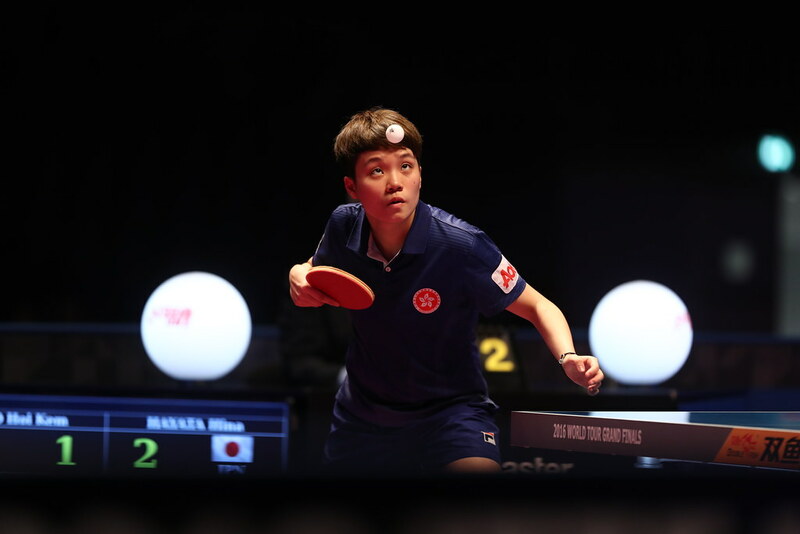 At the recent Seamaster 2017 ITTF World Tour Hungarian Open, she was forced to withdraw through injury. Meanwhile, Russia’s Maria Tailakova, winner of the Cadet Girls’ Singles title in both 2015 and 2016 appears on the entry list as does her colleague, Vladimir Sidorenko, the reigning Cadet Boys’ Singles champion. Likewise Cadet Boys’ Singles champions, Frenchman Andrea Landrieu and the Czech Republic’s Tomas Polansky, in addition the Romania duo of Cristian Pletea and Rares Sipos, are on Sochi duty. Andrea Landrieu won in 2011, in Kazan, Tomas Polansky, in 2013 in Ostrava, Rares Sipos the following year, Cristian Pletea in 2015. Will it more for those who have already succeeded at the European Youth Championships, or will a new name arise; stay tuned.